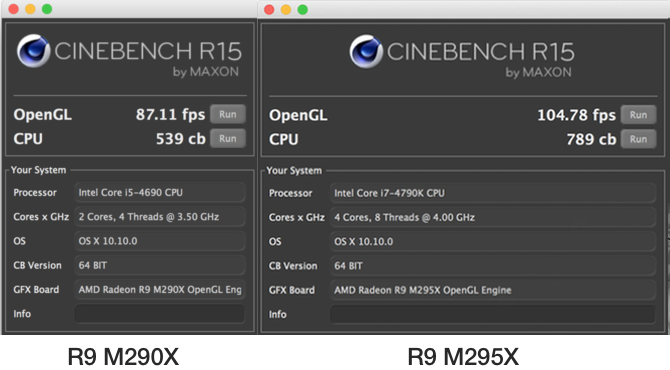 iMac with Retina 5K displayのGPU「AMD Radeon R9 M290X（Neptuneコア）」と「M295X（Tongaコア）」にはどれほどの性能差があるのか？ | AAPL Ch. We were surprised to see the iMac 5K Quad-Core i5 with the R9 290X GPU beat the Quad-Core i7 with R9 295X GPU in the GFXBench 3 T-Rex test. 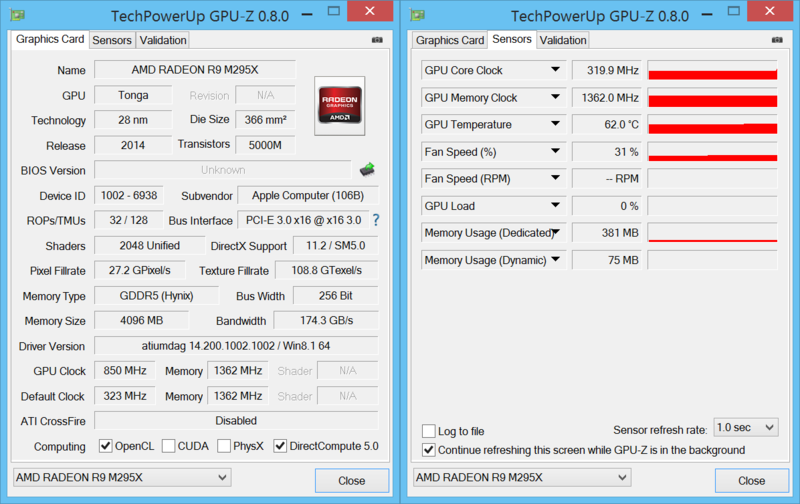 Looking at the published specs, the M290X exceeds the M295X on core clock speed, boost speed, and pixel fillrate. So that might be part of the explanation.